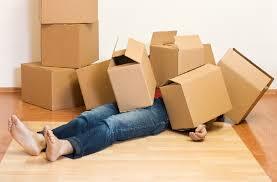 Yes, moving can be stressful, but also can be very easy if you have help and great moving company. Hiring a moving company is the best way to get some help along the way when you’re moving. It will save your time, minimize stress, and make your transition as smooth as possible. Do you need a storage for the moving day? You should consider any storage options your mover might supply. Good, reputable and reliable movers Big Apple Movers NYC will offer clean, secure and climate-controlled storage facilities that can really assist you as you make this big life transition. This means you can rest assured that your belongings are safe. So, you should hire moving companies that store your stuff, and your moving would be much easier. What is storage for a moving day? Self-storage offer units of space for hire. They offer a safe and convenient place to store your belongings. The units are highly secure. Protected from the elements and flexible both in size and cost, depending on your needs. Each storage unit is locked from the outside and the person renting the space is the sole key holder. Your moving company can store everything. Your furniture, family pictures, electronics and everything else you might need. Anything that you will not need on a regular basis, you should consider packing up and storing away. You can rent a storage unit for a week, just a day or for a long time. It is your choice. Moving companies charge for storage relatively little money for keeping all your possessions together in a safe, secure and dry place. If your moving date is soon and you’d like to get certain parts of the house cleared ahead of time or somewhere safe to keep your stuff while you decorate the new house, storage is the perfect option. Using storage NYC for a moving day as an interim location for your belongings will seriously help to reduce moving day stress. It will ensure that your items are safe, out of the way and in good condition. The best moving companies with temporary storage will offer you peace of mind and move without stress. All your items are safe in furniture pads, shrink wrap, and mattress covers. This means that all of your items are protected while they are in storage. 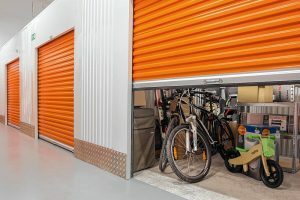 Why you need self-storage when moving house? If you are downsizing from house to an apartment. If your family become bigger and you need to free up a room, your best solution is to store your items at the safe place. You also need storage if you are looking to store some items while you go on holidays. If you’re moving interstate and don’t want to sell your items. If you’re a business who needs to move office equipment, or who needs to store items until you need them again, storage is the best solution. Whatever your short- or long-term household storage requirements are, the moving companies are there for you. If you ask how much do movers overnight storage, you should know that movers guarantee the safety of your items because they all employ 24/7 security stuff. Moving companies with temporary storage offer you moving without stress. Garden tools whilst waiting for the new shed to go up. Sofas while cleaning or renovating the living room. Fridges, washing machines, and dishwashers while the kitchen is redone. Bed frames and wardrobes while bedrooms are redecorated. Kids toys to keep bedrooms free of clutter while moving. Items you’re not sure you want to keep but need out of the way while you decide. Instead of having boxes of your possessions lying around all over the house it can be helpful to keep them in a safe and secure storage unit until after the move. This will ease the pressure on moving day and help you stay organized. Movers have storage options to make it easy for you. Either pick up your items or have them delivered to you—it’s all part of the service. They can take care of your items so that you don’t have to worry about them during your move or just when you need more space in your home. 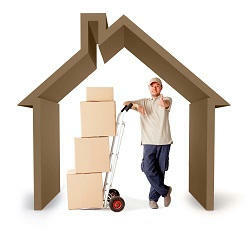 Movers skills, equipment and years of experience give you the best service and peaceful mind. You’re moving house – should you use self-storage? When you are ready to move to your new home, you may still need to keep some items in storage. If you need to do restorative work in your new home or you are undertaking big jobs at the house, then you will need lots of space. So, it is better if any furniture that you don’t need straight away is in storage. Another benefit of doing this is that it will prevent your furniture from getting damaged. And if you have a gap between moving dates, making use of a storage unit is an excellent idea at any stage of the moving process. By keeping larger items stored away, you can get organized in preparation for the move. Free space in your home increases your chances of a sale. Also, using a storage reduce the stress of moving day and packing. You can settle into your new home easily after renovating or decorating the property. Don’t forget! The time before, during, and after moving day can be stressful. You’ll want to work with a moving and storage company that understands your individual needs and works to make your moving experience as convenient and stress-free as possible. From packing to transporting and loading/unloading, you want to hire a company that can help you with all of your needs.